To hear different hit sounds for Mokujin, hold DOWN on the D-Pad or joystick before a match in which you are controlling him. Mokujin will now sound like a block of wood when damaged. While at the Press Start screen for any of the Arcade History games, hold the select button and you will be given a list of dip switches. 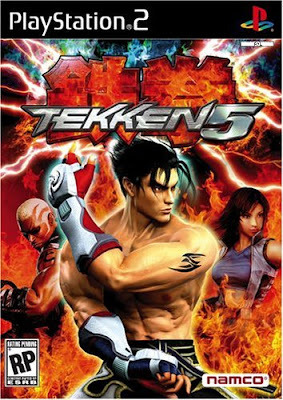 You can use these for such things as changing number of rounds or unlocking hidden characters, such as Baek in Tekken 2. After winning a round and you see the replay showing, pressing each button( [X], [O], etc...) will result in a different victory animation. This also works when the opponent wins. At the character select screen. This allows the player to play as Jin in permernent Devil mode without having his life bar drained out. The devil bar will be considered as his laser bar. The downside of this code is that it kills of you opponents faster thus unable to reach a higher combo rate. Note: You must clear Devil Within under Medium difficulty. Then start a new Devil Within or Stage Select. I got the school uniform for Asuka by purchasing her additional costume at the customization menu. You actually get two costumes when you make the purchase. At the character select screen, pick Asuka with triangle to get the school uniform, pick Asuka with circle to get a black geisha costume. To unlock Jinpachi's movie in Theater mode, you have to lose to him and get a game over using any character in Story Battle mode. Beat Devil Within once to unlock the stage select feature. You have to unlock Star Blade from Devil Within. Go to the first room in Stage 4-2, there is a breakable wall underneath the higher ledge. Transform to Devil Jin and press L1+Square to blast at the wall. There will be some tiles appear after the wall is destroyed. Jump over the tiles and move on to the next room. There will be a spaceship from Star Blade in the middle of the room. Collect it and continue to beat Stage 4 to unlock Star Blade. Finish Story mode once using any character to unlock Theater mode. Movies for each character will be unlock once you finish their story. Devil Jin Complete the Devil Within game or fight in 200 matches. Eddy Gordo Eddy is an extra outfit you buy for Christie (500,000G on console instead of the 400,000G price tag on the arcade version). Ganryu Beat Story Battle or Time Attack mode 7 times with a different character. Heihachi Beat Story Battle or Time Attack mode 9 times with a different character. Kuma Beat Story Battle or Time Attack mode 6 times with a different character. Mokujin Beat Story Battle or Time Attack mode 8 times with a different character. Roger Jr. Beat Story Battle or Time Attack mode once, with any character. Wang Jinrei Beat Story Battle or Time Attack mode 5 times with a different character. Final Stage 2 Play 200 matches in arcade mode or beat the Devil Within game. When you unlock Heihachi you will also unlock Random for Character selection. In the fourth Story Mode match against Lee, lose to him on purpose and you'll see Anna being insulted by him. While playing with Law in story mode, lose the fight against Paul to get a short scene. To see this interesting scene featuring Yoshimitsu and Raven start a story mode game and choose Yoshimitsu. When you get to the fourth fight which should be against Raven, loose on purpose. A funny scene between the two combatants should come up. When playing arcade mode simply quit the match before you lose the second round and you won't get a demotion or lose any experience. In the Secret Garden Stage. If you look closly at the ground some where you will notice there is a Frog. If you or your opponent gets knocked in the air and lands on the frog it while die and its angel will float upward. Ling has a fifth costume that can be selected by pressing the "L1" button. When dressed in Ling's schoolgirl outfit, win a battle and as soon as it plays the replay hold down Triangle and Square and you will see her secret pose.